One of the most difficult issues involved with making the decision to file bankruptcy for individuals is the fact that it will show up on your credit report and subsequently cause a drop in your credit score. How much your credit score decreases after bankruptcy depends on what your credit score was in the first place. 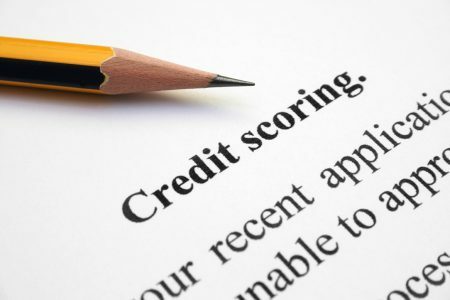 For those with lower credit scores, your score won’t actually drop all that much, while those with higher credit scores prior to bankruptcy will notice more of a decrease. The decision to file for a Texas bankruptcy really comes down to which will hurt your credit more: continuing to miss payments, have credit lines closed, and possibly even have a foreclosure listed on your credit report or a bankruptcy? How Long to 720 Credit Score After Bankruptcy? It is possible to get your credit score back to 720 after bankruptcy, and some have reported doing so within as few as two years. It could take longer, of course, depending on your unique financial situation, but this should give anyone hope that bankruptcy isn’t the end of the world, but a start of a new one. Building your credit back up after bankruptcy doesn’t have any quick fixes or hacks; it’s a long process and takes persistence, dedication, and a strong will. While there is no magic way to improve your credit immediately after bankruptcy, there are some steps that can take that will set you on your way to improved credit. Step 1: Order a copy of your credit report from all three reporting agencies. These are free to you once a year and should show you a total compilation of all items or accounts that are affecting your credit. You need to look over all your credit reports very meticulously to see if there are any mistakes or inaccurate items in them. If there is, you should take steps to dispute the item with the credit agency. You may want to even sign up for a credit monitoring company that will give you constant access to your credit report and score. CreditKarma.com is a free service and offers many extra features such as budget creators and a way to dispute inaccurate or incorrect items on your report. Step 2: After you have ensured that everything on your credit report is accurate, you’ll want to make certain that every payment you make is either early or on-time. Timely payments affect your credit score heavily and so by simply paying on time, you’ll be ensuring you give yourself a head start on improving your credit score. Step 3: Take out a secured interest credit card with a low limit. This is an area of disagreement for many, especially from individuals who were forced to declare bankruptcy by credit card debt in the first place. The key to building your credit score back up after bankruptcy using a credit card is to stick with a low limit card such as $500 or less. You can expect the interest rate to be higher, but you only want to use this credit card for very deliberate purposes. Use it once or twice being careful not to exceed 50% of your balance and then make the payments on time. This will report to your credit agencies as both a new line of credit and on-time payments which should help your score. Step 4: Talk to your local credit union. Local credit unions typically have more lenient criteria for issuing loans and credit cards. Additionally, credit unions are more likely to need borrowers to lend money to. If you can find a loan officer who is willing to look at your individual situation, you may be able to attain a secured interest loan or credit card that can help boost your credit. Make sure to ask if the credit union reports to all three credit agencies. Again, it is definitely possible to raise your score back to the 720 range and beyond after bankruptcy, but requires an intelligent plan and follow through. As your credit score increases, you will be able to show potential lenders, that despite having financial troubles in the past, you have used bankruptcy to take the necessary steps to correct the problems. One of the countless benefits of hiring a bankruptcy attorney to assist you with filing is that they are sure to have suggestions for you on how to improve your financial situation after your debt is discharged. An experienced bankruptcy lawyer has seen many bankruptcy cases before yours and knows what will work and what won’t.